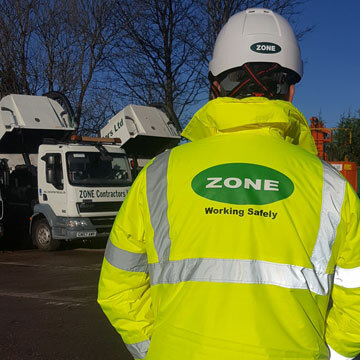 Zone Contractors are a recognised civil engineering and construction company operating nationally to provide clients with services of varying disciplines. When it comes to people, equipment and solutions for your project…we are in the Zone! 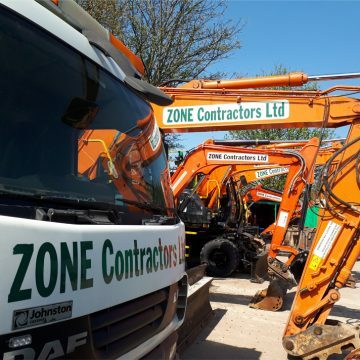 Zone Contractors Ltd was founded by Directors John Munnelly and Con Allen in 2002 and thereafter has grown from strength to strength as a business due to its established values and work ethic. It is now supported by a team of experienced management and support personnel who share the same assets. This translates to us to providing a reliable and quality service to our customers. We value our established relationships with existing customers and endeavour to grow and nurture relationships with new customers and project stakeholders alike. We pride ourselves on the fact that much of our workload is resultant from repeat business and is testament to the importance we place on customer satisfaction. Our experienced workforce is competent and trained in their area of speciality and as a minimum are required to have a valid CSCS card as well as other trade specific qualifications. We are committed to ensuring that every single member of our workforce hold the relevant qualifications and competency according to their task or operations. We do this by investing in the development of our workforce personnel by providing training, opportunities to learn and management guidance. Our fleet of plant and vehicles is kept up to date and maintained by our own experienced in-house workshop team. We are constantly looking to invest in market-leading plant equipment and accessories to ensure our clients requirements are met on all fronts. 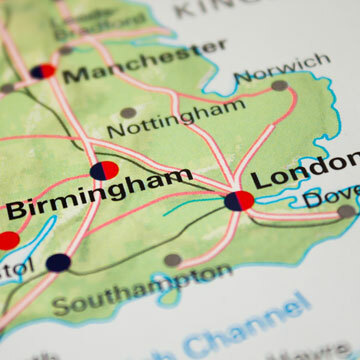 The company head office and yard are based in Erdington, Birmingham and we are supported by an office operating within the Greater London region. Our diverse and expanding workload means that we cover the whole of the UK where we call upon our diverse and regionally situated workforce. Our ability to provide nationwide coverage benefits our clients who value our flexibility in an ever-moving industry.